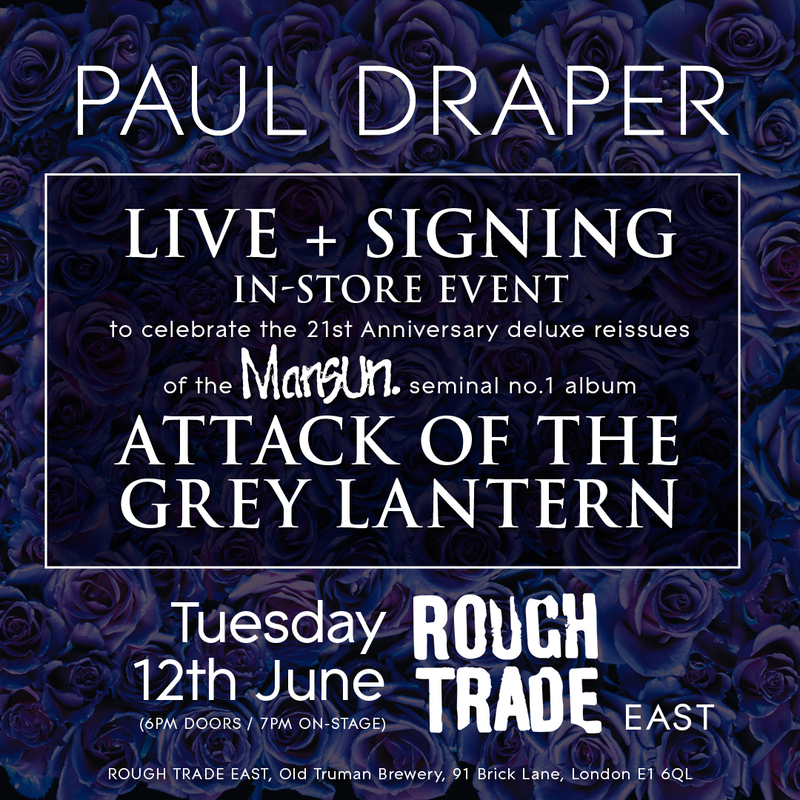 Paul will be playing an instore acoustic show and signing at Rough Trade East in London on Tuesday 12th June to celebrate the release of the re-issued debut Mansun album, ‘Attack of The Grey Lantern’. ‘Attack Of The Grey Lantern’ is released on the 8th June and is available on multiple formats including limited edition purple vinyl, standard black vinyl, single CD and super-deluxe four-disc book set (including unreleased material on CD and a new 5.1 mix on DVD). It will also be available to stream on all digital platforms. Pre-order HERE .